Because many of the terms used to describe different forms of therapy and counseling are rarely used in common conversation, trying to make sense of it all when you need some help can seem a little daunting. Here is a brief explanation of the difference between psychotherapy and Psychoanalysis. Psychotherapy is an umbrella term that describes a number of different forms of talk therapy; other terms that can be used more or less interchangeably with the term psychotherapy include counseling and therapy. During psychotherapy, you talk with a trained professional about the way you feel, think and react to challenges in life with the ultimate goal of resolving or reducing the negative symptoms of an emotional or mental health problem. 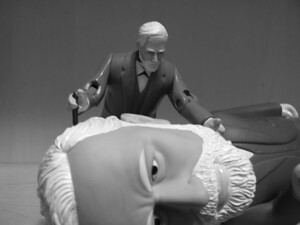 Psychoanalysis is a type of psychotherapy. It was developed by Sigmund Freud in the late 1800’s and it is based on overcoming the desires and negative influences of the unconscious mind. Psychoanalysis is what is often thought of as therapy by those unfamiliar with the counseling process, with a patient reclined on a couch facing away from the therapist and talking about the past. Psychoanalytic therapists encourage patients to use free association as a way to come to insights about unresolved issues from the past that are resulting in emotional or behavioral problems in the present. Psychoanalysis is used most typically to treat patients suffering from neurosis or personality complaints. It is a very intensive (and thus expensive) form of therapy, as a typical course of therapy will often require 3-5 sessions per week over a period of years.